Garlic – Spice Or Medicine!? Did you know that garlic was worshiped by the ancient Egyptians, chewed by Greek Olympian athletes and thought to be essential for keeping vampires at bay! ? 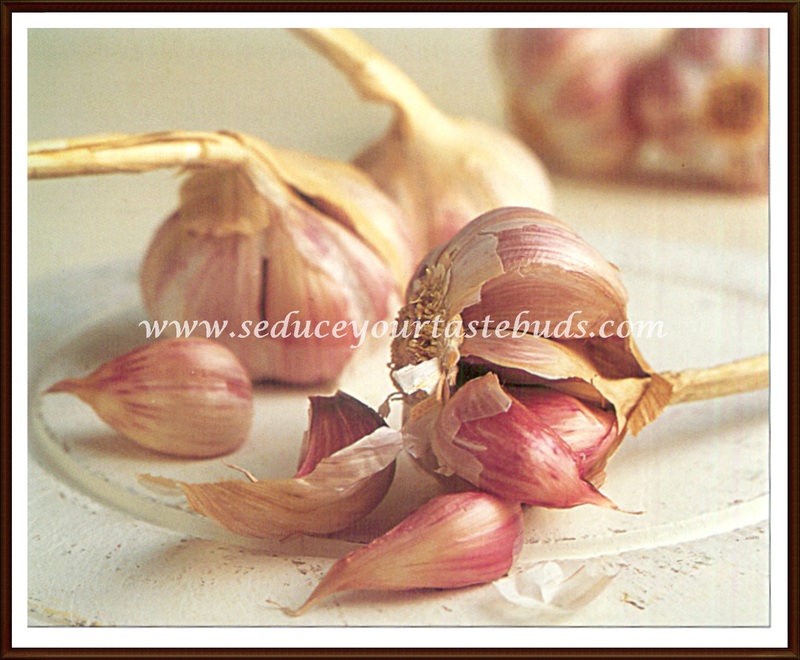 Garlic is used as a seasoning or a condiment. It has been used as food and medicine for more than thousands of years. Apart from the culinary use, its medicinal properties are innumerable. It contains allin, enzymes, vitamin B, minerals, and flavonoids. Garlic has long been considered a herbal “wonder drug”, with a reputation for preventing everything from the common cold to the Plague. So, is garlic a spice or a medicine? It was used to protect against plague by monks in the Middle Ages. Hippocrates used garlic vapors to treat cervical cancer. Garlic poultices were placed on wounds during World War II as an inexpensive and apparently quite effective replacement for antibiotics which were scarce during wartime. GARLICKY BREATH…..WHY AND WHAT TO DO? Did you know that the royal chef in the French court of King Louis XIV used to chew up a clove of garlic and breathe over the salad? [Yuck].This would give the garlic flavor to the salad without subjecting the king to the embarrassment of garlic on his breath. The sulfur –containing compounds are responsible for the garlic’s odor, whether from a cut garlic or on the breath. But these compounds are full of medicinal properties that are at work protecting the body from various infections, heart diseases, cancer and toxins. ‘Did you hear about the dog which ate garlic? His bark was worse than his bite!!’. …..